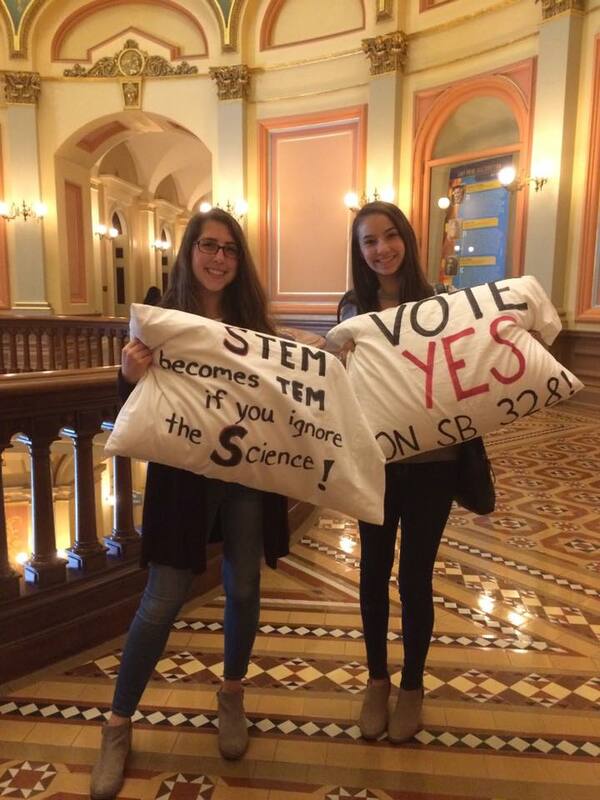 Landmark bill giving teens a shot at healthy sleep crosses another legislative hurdle. Terra Ziporyn Snider, Medical writer, novelist & former JAMA editor whose publications include Harvard Guide to Women's Health. Tweets promote health/education/arts. A landmark school start time bill crossed a major hurdle this week, passing out of the California Assembly’s Education Committee with bi-partisan support. Already passed by the state senate, this bill stands to make California the first U.S. state to ensure that middle and high schools start at times that allow for healthy sleep. Introduced by Senator Anthony J. Portantino, the bill, SB328, would prevent middle and high schools from starting the regular school day before 8:30 a.m. Requiring teenagers to be in class any earlier is unhealthy and counterproductive, according to a growing number of health organizations, including the the American Academy of Pediatrics (AAP), Centers for Disease Control and Prevention (CDC), American Medical Association (AMA) and, most recently, the American Academy of Sleep Medicine (AASM). To date, the bill has received support from the The American Academy of Pediatrics, American Academy of Sleep Medicine, California Federation of Teachers, California Sleep Society, California State PTA, Children’s Hospital Boston, Children’s Hospital Los Angeles, Congresswoman Zoe Lofgren, East Area Progressive Democrats, Educate. Advocate, Fresno Unified School District, High School Parent Engagement Group, Keck Hospital of USC, Los Angeles County Office of Education, Loyola University Maryland, Lucile Packard Children’s Hospital Stanford, Manhattan Beach Unified School District, Pasadena Unified School District, Stanford University School of Medicine, Seattle Children’s Hospital, Start School Later, Stony Brook Medicine Program of Public Health, South Pasadena Unified School District, University of Washington – Department of Biology, and numerous individuals. No one at the hearing disputed the research showing the benefits of later school start times for student sleep, health, safety, and equity. What was an issue, however, was the importance of local control. In particular, opponents of the bill cited the pushback that many school leaders face when they try to move bell times ― in any direction. This pushback includes fears and speculations about how bell time change might complicate parent or teacher schedules ― or possibly cost districts money. Ironically, these fears and speculations, every one of which has been proven either unfounded or surmountable in the hundreds of districts that have delayed bell times, are exactly why a mandate from the state is so important, note proponents of the bill. They also show why leaving this public health decision in the hands of local school boards may come at the expense of student welfare. “I think a lot of us in recent weeks and months have spent a lot of time defending science,” said assembly member Todd Gloria. “I feel like it would be inconsistent of me to suddenly now ignore this bill or not support it.” Noting that all change, even good change, is hard, he reminded the committee that at times it was necessary for the state to help local districts protect basic rights. He said he doubted that schools would have implemented protections for LGBTQ youth or fully inclusive programs for female athletes if not mandated by the state. Assemblymember Shirley N. Weber, who also supported the bill, recalled that the research about the need to start school later was presented to her as a school board member 20 years ago. That experience taught her that asking for public opinion polls on evidence-based changes can keep communities from implementing beneficial changes proven to work. Whether the change was earlier or later, Weber continued, everyone was complaining because “change is hard.” And yet in the end everything adjusted. She remembers wishing that there had simply been a requirement about when to start and end, which would have prevented hours of agony. Portantino explained that setting a minimum standard for school hours was very different than telling districts exactly how to run their schools. Clearly that had to be determined on a local level, depending on local values, conditions, budgets, topography, and more. Assembly member Tony Thurmond, who supported the bill, also emphasized the importance of ensuring a smooth transition to healthier hours – particularly the importance of hearing from parents, teachers, and other community members whose lives could be impacted. He suggested that the same parent surveys that sometimes end up blocking change could be revised and re-administered to assess real and perceived hardships among stakeholders so that they can be addressed. Such an approach ― along with education of communities about sleep science and giving them sufficient adjustment time ― is consistent with best practices for delaying school start times. Portantino said that this approach is built into the legislation, which does not go effect until July 2020, giving school communities time for any necessary adjustments.